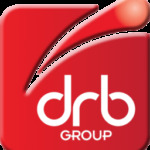 DRB Group is a trusted partner to energy, power, and utilities industries. If you need new plant designing, or existing equipment adapting, we’ve done it. If you need to integrate old with new, we’ll do it. If you need to improve your production process but aren’t sure how, we will design it. DRB Group provides critical engineering support to utilities, energy and power-generation companies. • fabrication of frameworks, walkways and other light steelwork. DRB’s clients benefit from our team’s depth of knowledge and our comprehensive range of mechanical and electrical engineering services.